The Purchase: A Farmer Had Been Taken Several Times By A Local Car Dealer. 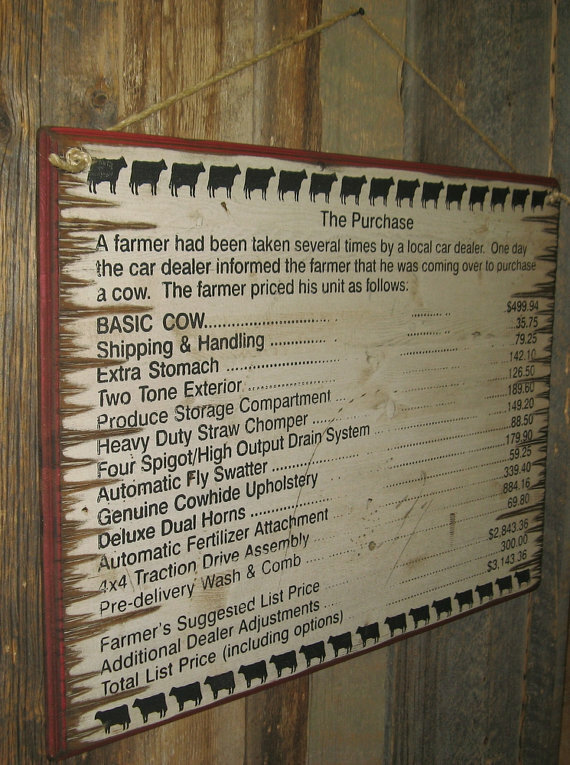 One Day, The Car Dealer Informed The Farmer The He Was Coming Over To Purchase A Cow. 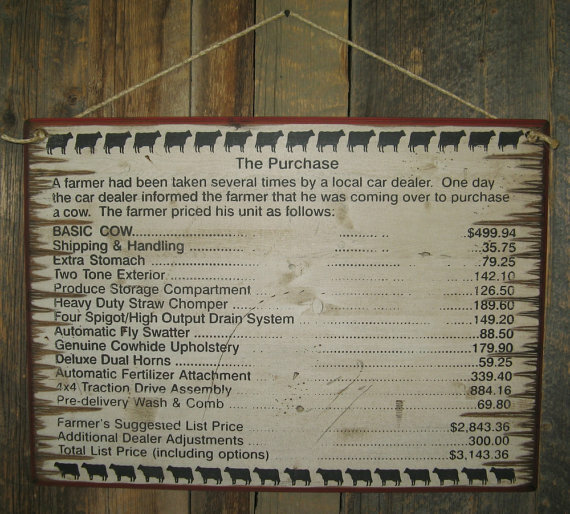 The Farmer Priced The Unit As Follows… This funny sign will keep you laughing all the way through reading it! 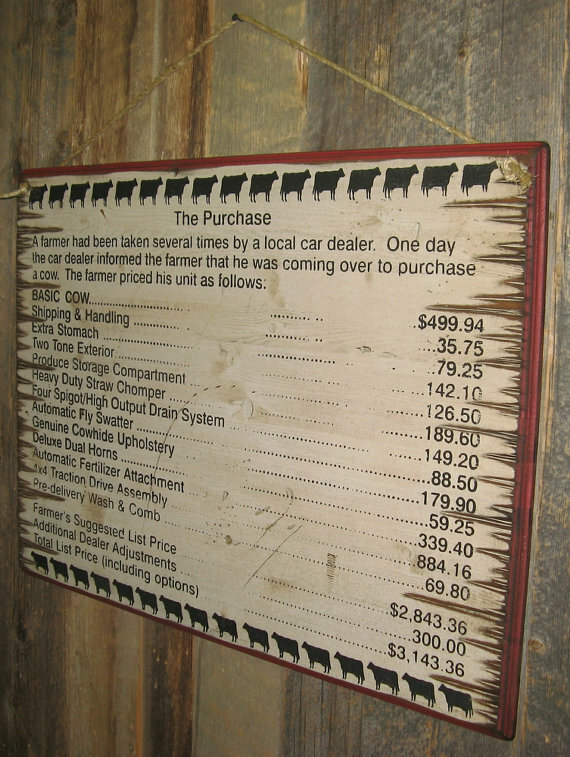 It gives prices to all of the standard cow parts, just like car salesmen give to standard car parts! It measures 22×30, has a white background and comes with the grass rope hanger for easy hanging! Handcrafted with pride!